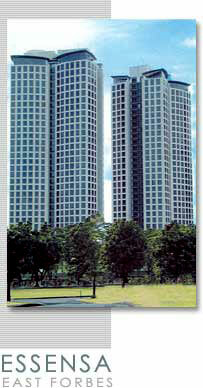 *** Bank Financing through EVERRA Real Estate is now available even for foreigners for units for sale. 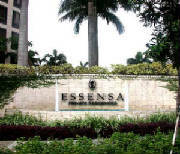 Essensa is one of the premier high-rise residential condominiums in Metro Manila. 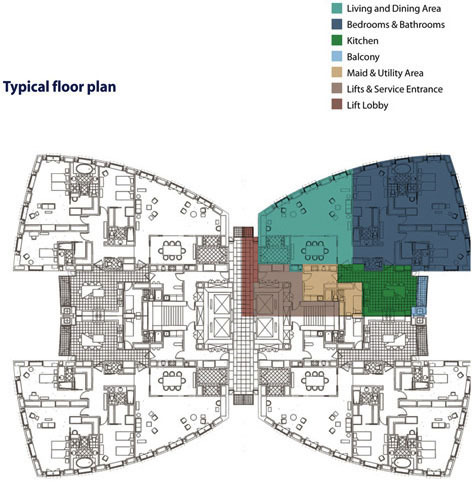 The graceful concave buildings resembling butterfly wings is a mastery of aesthetics with a generous layout of 236 luxury residential suites. 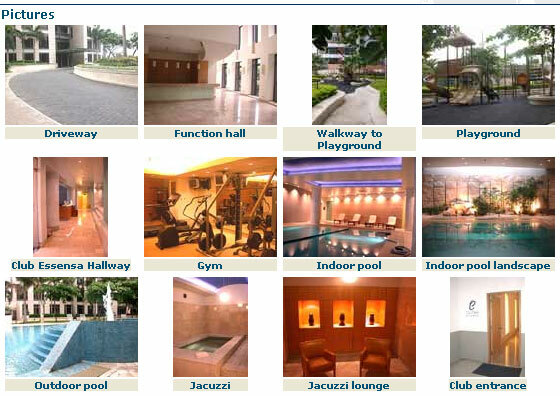 Essensa has a business center, a fitness center, helipad, an indoor heated lap pool, and four levels of underground car park, private dining facilities and a poolside gazebo. 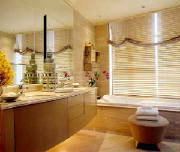 all of which offer first class hotel service which including a 24 hour concierge and elevator attendant. These twin 116-unit luxury condominium apartment towers project were undertaken to create luxury residential estate in the Fort Bonifacio Development Area. The complex is located on a gateway site adjacent to the exclusive Forbes Park Residential district and the neighboring Manila Golf and Polo Clubs. Unobstructed views, while embracing the lush private gardens at their base, Essensa retains nearly 70% of its site for landscape and open space. The scale and character of the carefully detailed windows is distinctly residential and draws from the elegant Antillan style of Manila's past. Enhanced by the traditions of place, Essensa's dramatic towers, ornamented by nature, achieve a distinctive image and unique identity in the 21st-century city growing up around it. 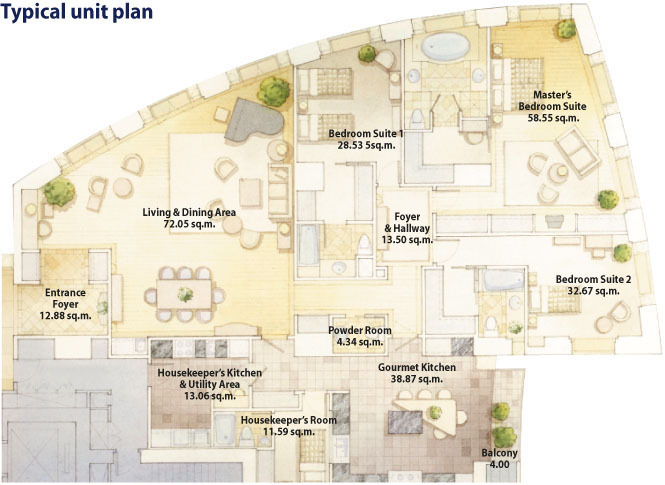 Lot area for the two buildings and landscaped gardens totalling to an approximate 9,600 square meters.